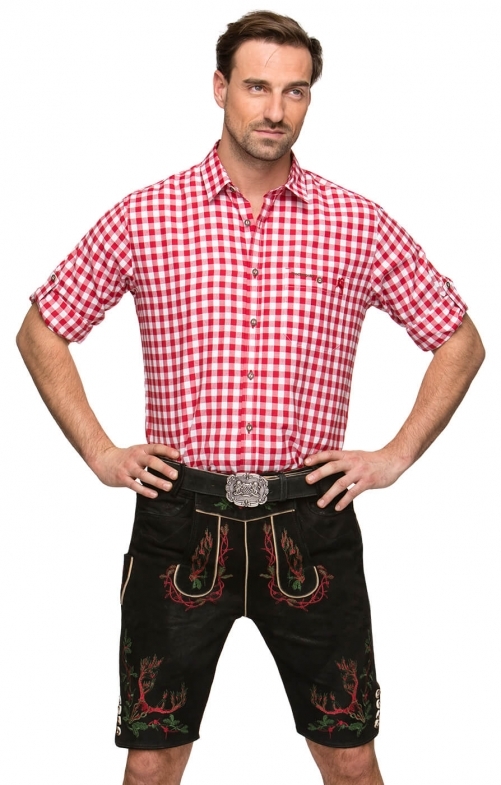 Albin men’s black short Lederhosen with belt. These striking black leather shorts are adorned with traditional Bavarian-style embroidery that has been rendered in bold red so that it will not go unnoticed. White piping on the bib helps to add extra definition, while the short Lederhosen come complete with a leather belt and a metal buckle emblazoned with a classic Trachten design.